West Kelowna features many unique neighbourhoods including Shannon Lake, Tallus Ridge, Rose Valley, Lakeview Heights, Glenrosa and more. Each area exudes their own unique attributes and finding the right match for you is our job! The Grant Waidman Group's first-hand experience and knowledge with each of these areas along with our understanding of your desires will help us find you the right home in the right neighbourhood. With its winding roads through the hills, Lakeview Heights offers traditional, peaceful neighbourhood living along with some of the most spectacular views found anywhere. Conveniently located, Lakeview Heights is just minutes from all local amenities and just a short drive over the William R. Bennett Bridge to the city. The prices here are in the moderate range - with higher prices for a view home and premium prices for lakeshore property and homes set among the wineries, such as Quail’s Gate. There are many families and young professionals in this area of quiet streets making it a great neighbourhood to raise your family with plenty of amenities nearby. A golf course is the featured attraction. The homes here range from new to 15 years and are moderately priced. West Kelowna Recently incorporated as a District Municipality, and placed along the west ridge of Okanagan Lake is this West Kelowna community. The area offers mountainous backdrops, unparalleled views of the city and lake, plus lots of commercial developments being built monthly. The homes in this neighbourhood are only minutes to downtown, generally have larger lots and are low to moderately priced. 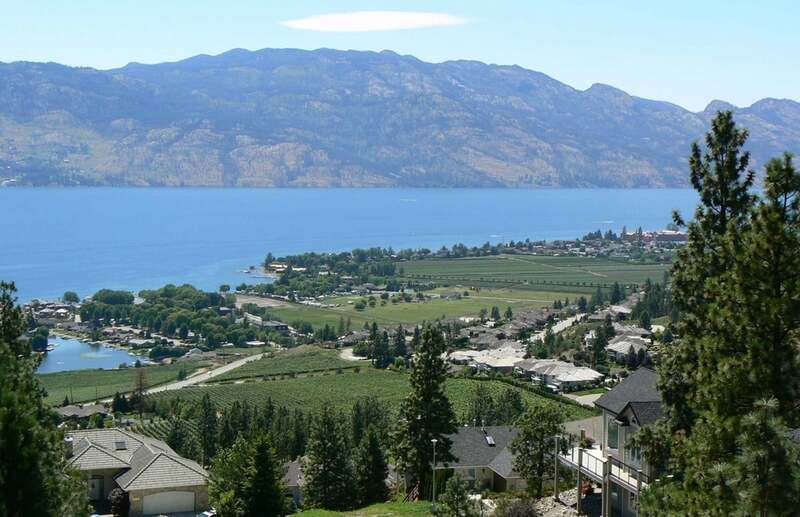 West Kelowna is a popular area for both families and retirees offering magnificent views of the lake and the city. Only minutes to downtown Kelowna, this area offers convenient access to all amenities and miles of walking trails. Prices here are moderate to high. Located at the southern most tip of West Kelowna, Glenrosa lies at the foot of the Coquihalla highway, providing the quickest access to the main highway to the Lower Mainland. One of the most affordable communities in the Okanagan, Glenrosa is just minutes from shopping, schools, the Westbank Yacht Club, and the community of Peachland. Many homes have a view of the lake and the lots tend to be large. There is a high percentage of families living this area. House prices tend to be moderate with some areas offering multi-family units.